So far this month the weather here is how I remember April from childhood: sun and showers and no extremes of heat or cold. And I’m feeling enthusiastic about the growing season ahead. 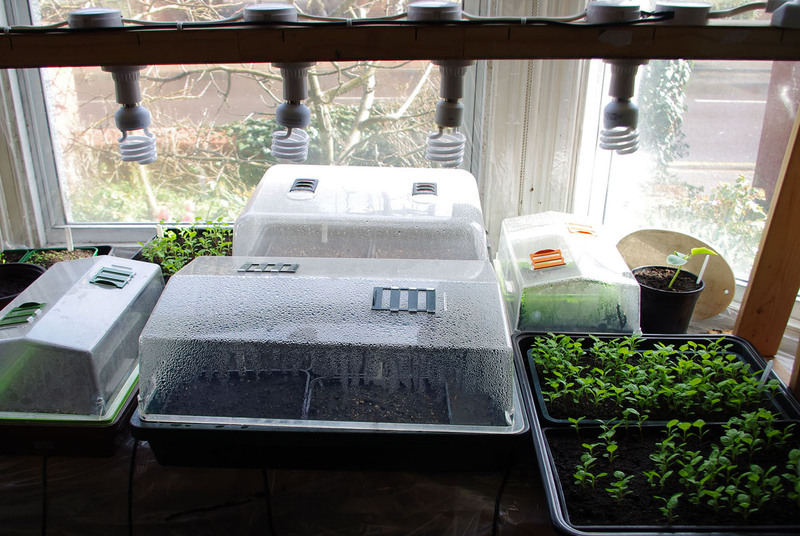 We’re now well into the annual cycle of seed propagation. The windowsill in our front room has trays of Dyer’s Chamomile, Dyer’s Coreopsis, Japanese Indigo and a bee-friendly Dahlia. With the exception of the Dahlia, all these seeds are saved from previous years. 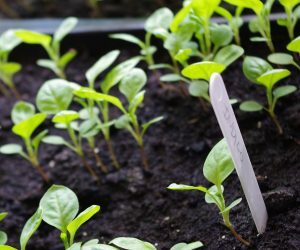 Japanese indigo needs a slightly longer growing season than our climate can offer. 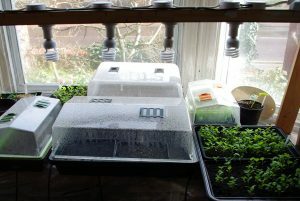 So we start seeds off in heated trays on our sunniest windowsill in late February or March. A home-made rig provides extra light for the plants during gloomy weather. 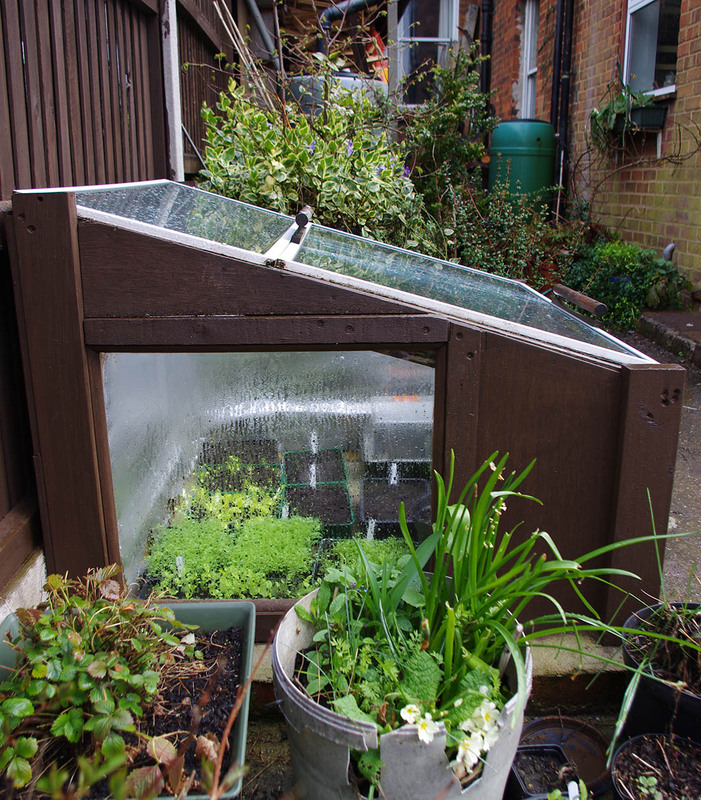 From here, they move on to a cold frame in the back garden or the unheated greenhouse. We won’t plant the Japanese Indigo out until all risk of frost is past. In case you’re curious, we collect Woad seeds in early summer to prevent them spreading everywhere and sow direct into the soil the following autumn or spring. Weld (biennial) and Dyer’s Greenweed (perennial) are reliable self-seeders and not invasive, so we let these grow where they will and don’t usually bother planting them up in seed trays. These last two photographs show the end of one cycle of indigo and the start of the next. 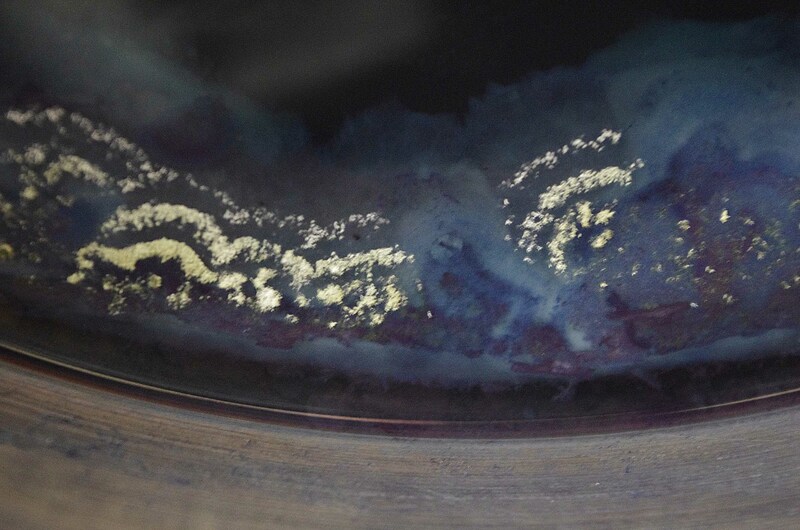 I was amazed at the beautiful patterns in the mould on top of a forgotten Japanese indigo vat. For a plant dyer at least, there’s no happier sight than trays of lush green Japanese Indigo seedlings! 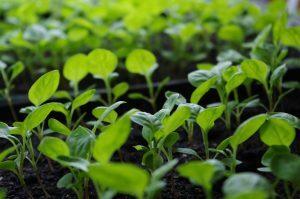 A good germination rate. A dyer’s delight! This entry was posted in dyers greenweed, growing dye plants, japanese indigo, weld, woad on 7th April 2016 by susan dye.